Starting a Cloud Kitchen? Here's all you need to know. Running a restaurant demands knowledge in a wide variety of fields. A person who chooses to start a restaurant to please his love for food, is put in an inevitable situation of choosing the right theme, affordable yet customised furniture, decor to impress the customers at the first sight, establishing a warm relationship with customers in person, etc. What if all the requirements are taken care of impeccably but the food served does not win the heart of the customers due to the divided attention? That’s where a cloud kitchen comes into play. It lessens the burden, lets the restauranteurs solely concentrate on the quality of food with minimum effort, time and money. Now here comes the next question. Is starting a cloud kitchen a wise choice? Let’s brainstorm! What exactly does Cloud Kitchen mean? Cloud kitchen is a place where food is prepared and delivered at door steps by taking orders via calls and online ordering portals. Unlike other restaurants, they do not cater dine-in and takeaway. They solely invest in food preparation and delivery or tie up with food ordering portals such as Swiggy, Zomato, etc. The main advantage of having a cloud kitchen is one can start many brands under one roof thereby cutting down costs extensively. Now having known what it means, let’s see the procedure to start a cloud kitchen. What it takes to run a cloud kitchen? Cloud kitchens are more easier to run than other normal restaurants. They need less sum to start and maintain. Let’s see why! Target – Depending upon the target audience which relies on the types of food prepared, choose a location. Cost-effective – The main reason to start a cloud kitchen is to cut down the rental cost. Choose a location which is affordable enough without compromising on the required facilities. Amenities – As a cloud kitchen, you would get to manage more orders than regular restaurants. Hence it is important to find a place with proper drainage system, water facility, electricity availability, etc. Accessibility – Though cloud kitchens need not be accessible to customers but it should be accessible enough for the delivery agents to reach out easily with minimal parking space. For a hassle free functioning of the cloud kitchen, it is important to get the required licenses such as FSSAI licenses, GST registration, NOC from fire department, etc within the stipulated time. As it is tiresome and time consuming, it is better to hire an expert to complete the job. It may take few days to few months to complete the process. Hence the sooner the better. As cloud kitchens solely run on taking orders, it is important to set up a credible ordering and delivery platform. In today’s scenario, most of them tie up with third party food aggregators such as Swiggy, Zomata, Foodpanda, etc for the online ordering and delivery as it helps to reach a wider population. It just takes a couple of minutes to partner with them by filling the required details in their website. They demand a commission of about 7% – 30% per order. There is no doubt that your visibility in such platforms increases your orders manifolds. But recently many restaurants are breaking their ties with the food aggregators due to various reasons. Here is a blog which encapsulates the ongoing problems between the restauranteurs, food aggregators and customers. Since cloud kitchens do not have any physical outlet, it is a must to have a website with more details about the staff, menu, brand, etc. Add images to let the customers experience what you got to offer. Having an in-house delivery system, is a bold move yet rewarding in the long run. Though it may take time to establish your brand it is more reliable and trust worthy as it is easier to connect with the labour delivering the food thereby increasing the accountability and also cuts down unnecessary commission to be paid to other parties. Depending upon the accessibility of the population present in the locality, one can also set up a call centre panel to receive orders through telephonic calls and direct the orders to the right outlet. As orders pour in from different platforms, it is important to have a proper mechanism to facilitate the work smoothly. 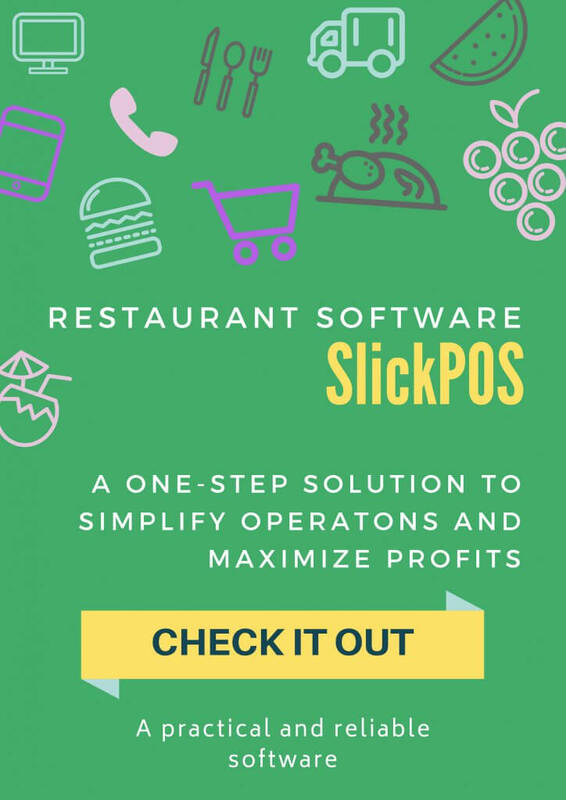 A cloud based POS which offers online ordering integration would be the best choice to invest on. As orders are placed, it is pushed to the appropriate kitchens using network KOT printers to get the work done seamlessly. It keeps track of the orders, helps in quick billing, prevent inventory and recipe pilferage, tracks your business metrics from anywhere, etc.It not only manages the orders but also helps in collecting customer data, their likes and dislikes, thereby directing us to the right path. Hence investing on a reliable POS is a must in many ways. Major investment in cloud kitchen is equipping the kitchen with the right machinery. From kettles to dish washer, investing in machinery helps in mass production. Getting hold of the right vendor would help things to fall in places. Sometimes designing your own machinery and growing your own produce would help you to meet your purpose. Fuel is the primary need in kitchens. As most of the appliances work on electricity, steps to conserve energy is always a heads-up. For a cloud kitchen, as orders are continuously placed, experienced staff would be able to handle the stress better. Depending on the size of your business, hire chefs, helpers, domestic employees, delivery team, etc. A good relationship with employees would increase the staff retention rate which would indirectly help your business grow. It is important to build a good culture and morale with them. Giving them free meals, allowances would help them build trust on you and be more loyal. As starting a cloud kitchen saves a lot of money, it is imperative to spend more than regular restaurants in packaging. The material used to pack, the design involved, the way it is packed plays an important role in building repeat business. Spend time on finalising the design. Make sure the packaging is innovative and promotes the brand. Eco friendly measures could be taken to create awareness as well as to impress the customers. Read more about eco friendly packaging here. Optimal number of trained staff at the packaging and delivery area would do the job. Cloud kitchens have very less visibility comparing to restaurants with physical outlets. Hence it is important to have a strong online presence. Social medis sites such as facebook, instagram, pinterest can help you spread a word about your business. Regular updates to engage customers makes them try out your food. Online listings is also a must to enhance your presence. Read more about the ways to increase restaurant sales. SMS and email marketing helps you to notify your customers about the launch of new items, discounts, etc. For the offline presence, pamphlets mentioning the discounts, signature items, contact details, etc could be circulated. One can also put up a stall at carnivals, food fest to announce your presence louder. 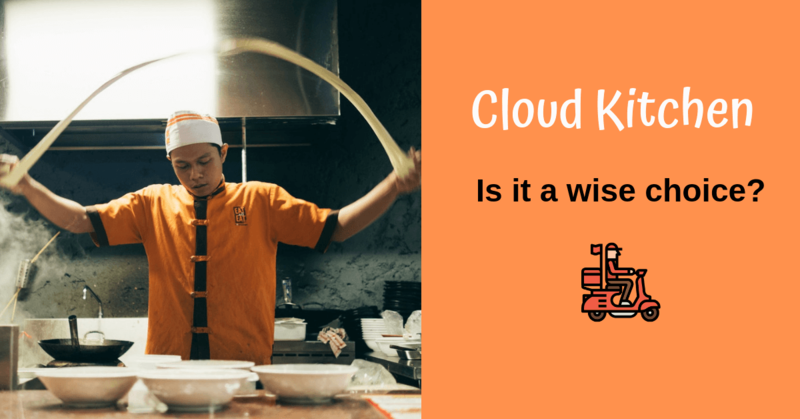 Why is starting a cloud kitchen a wise choice? Cloud kitchen has been doing the rounds recently. Start ups, people looking for options to extend their business have all opted for cloud kitchens. Here are few reasons which led cloud kitchen to be their preferred option. Running a chain of outlets based on the cloud kitchen model has helped us to reap customer satisfaction to the fullest. Yes, you heard it right! Cloud kitchen allows you to have more than one brand under the same roof. If your restaurant serves Indian cuisine and if you are planning to start a continental cuisine, instead of adding it to the same menu, you can place it under different brand so that customers relate to the authenticity of the cuisine. But in reality you can even prepare it using the same chef in the same kitchen. This way it reduces your investment tremendously. For newbies, this is the best way to test your brand. In a cloud kitchen, nothing comes between you and food. You don’t need to worry about table management, location, decor, etc. The only aim is to provide fulfilling dishes to the customers. It gives you enormous time to work on the menu with unique names, experiment new items, improvise based on the feedback collected, etc. A rewarding feedback by a customer after trying your dishes is the only goal to work on for a prosperous business. Cloud kitchens cuts down the operating costs. A place with affordable rent, less staff to train and manage yet a whopping number of orders through various ordering channels on a daily basis are the highlights of running a cloud kitchen. This gives you an assurance of high returns with low investment. When orders are integrated with technology, collecting customer data becomes easier. It helps you to understand the likes of customers and alter the menu accordingly. It also helps you to find out the loyal customers and give them rewards as a token of gratitude. Though cloud kitchens involve low risk and high profit, one should be vigilant to the competition ahead to reap profits. There is no doubt that cloud kitchen would be the next trend. If you are planning to expand your business or start a food outlet then cloud kitchen is the safer and wiser choice!